Handmade with Rose Quartz chips (strengthens empathy). The Rose Quartz is attributed to the signs of the zodiac Aries, Cancer and Libra. 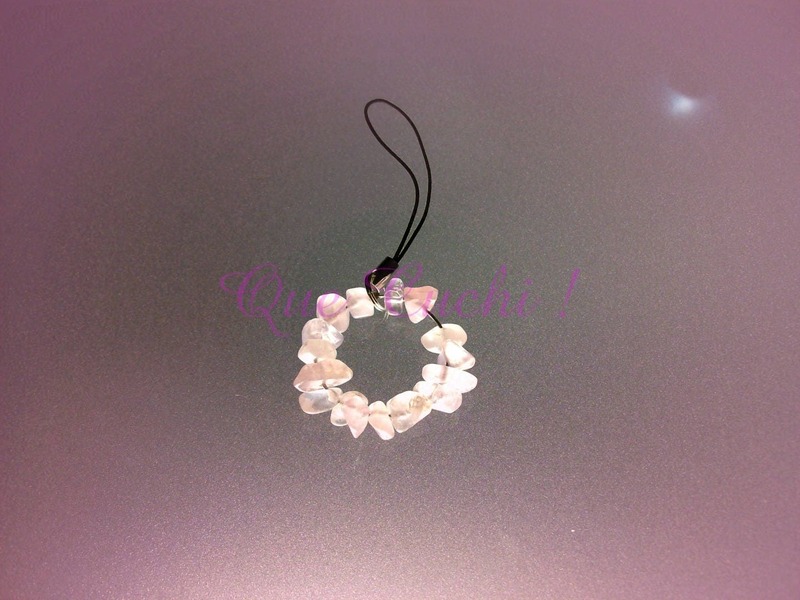 (It should be noted that the pink Quartz is very pale, almost white). 100 cover knots 8 mm x 3.5 mm to make jewels. Owl pendant of 1 x 0.8 cm to make jewels.